Because this type of 15.5 liter type usability was good, I bought two of these sizes. It is light and easy to carry. This review is about item#9468654. Although milk is delivered to home, there are a lot of things to be out, we decided the delivery place in advance and put this cooler box in and put it in it. 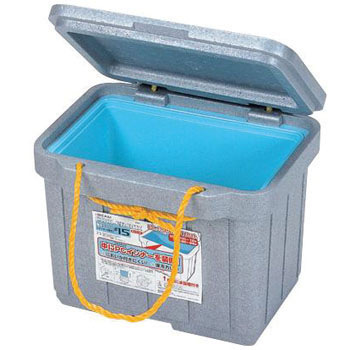 Although the exterior is styrofoam, there is a container inside and it can cope well enough. Anything is cheap and good. This review is about item#09468654. I was thinking that the capacity would be reduced with some containers, but a lot of unexpected canned beer entered. This review is about item#09468663.